Laurie was very helpful and professional. We heard many comments that the food was excellent....especially the beef tenderloin and apple crisp. We were happy we were able to have our sparkler sendoff. I absolutely loved this place, we had our ceremony outside on the golf course, then our reception inside in their banquet room. This grounds itself was beautiful, our wedding photos turned out great with the beautiful green scenery. We barely needed to decorate the reception area, its already so beautiful inside that it didn't need any more. The bar inside is awesome as well. The food was amazing, we got the chicken picatta, and some appetizers and late night pizza were perfect as well. Laurie was our go to person, and she made everything go smoothly and I didn't have to worry about anything! Overall, the experience was amazing and if I could re-do it I would have it here again! 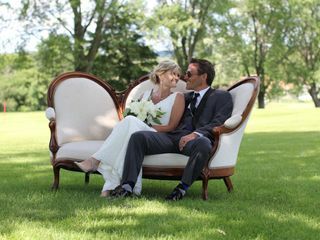 We absolutely loved our experience at the Reedsburg Country Club! Laurie was extremely easy to work with and helped us create the wedding day we always wanted. 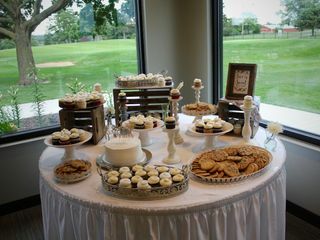 We received lots of compliments from our guests on the setting and especially the food! Setting up and clean up the next morning was a breeze as well. I would 100% recommend the Reedsburg Country Club to any couple looking for a wedding venue. Our wedding here was awesome! We could chose how to set up the room in any way! We got awesome pictures taken on the course! They let us set up the room early as well. The food was AMAZING!!! We got many compliments on the reception! The whole venue is very organized and open to any questions you may have while being very helpful! Our wedding was held June 2017 and was perfect. The Reedsburg Country Club (RCC) was very accommodating. The bathrooms has a separate room for bride and bridesmaids to get ready. We held our wedding outside by a large tree that I picked out. The RCC let us use golf carts for the ceremony and they stopped golfers and provided them with drinks during our ceremony so we didn't get hit by golf balls. 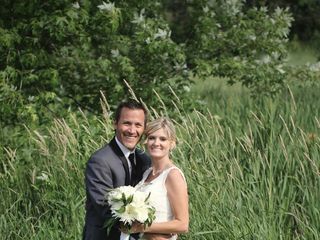 There are many spots along the golf course for great wedding photos. The inside of RCC was very beautiful. We were happy we got the separate bartender in the banquet room. The food presentation was very nice. We had lots of compliments from our guests. The layout of the room was set up perfect, plenty of space. The RCC had plenty of staff on duty. They were very helpful with the set up the Friday night before the wedding when we were decorating. The only recommendation I have is for them to purchase their own chairs for outside receptions so that they don't need to be rented. 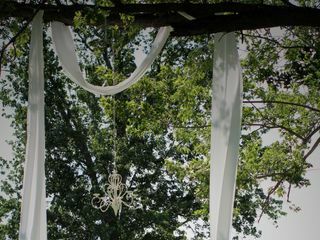 The Best place to have your Wedding Reception in the Reedsburg/Wisconsin Dells Area. The staff at Reedsburg Country Club is absolutely outstanding, the hospitality is one of the best in the area. 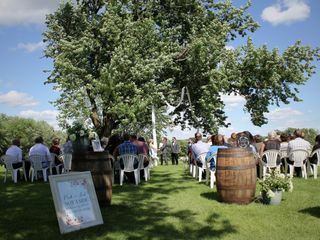 We had a beautiful Wedding Reception, accompanied with delicious menu and gorgeous outdoors! We were looking for a venue in Reedsburg where we live, and the country club was the best reception location! Easy to find, beautiful building, and spectacular scenery. All of our guests had nothing but good things to say. The food was delicious and the banquet hall worked perfectly. There was ample space for all 150 guests, bar, extra tables and the dance floor! Parking for some of our guests was difficult due to so many cars in the parking lot.